When multiple people will need access to multiple properties, the simplest solution is often to install a master system so that one key can be used to access multiple properties. Today’s master systems can be fairly complex, and are not nearly as simple as the “skeleton keys” of days past. A simple master key system would involve multiple locks that were keyed both individually and separately. 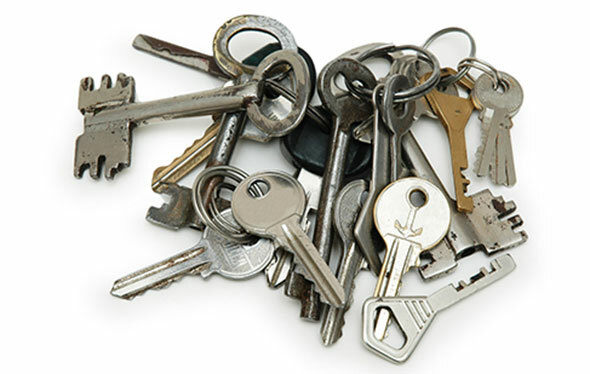 In this case, the master key is usually kept by only one person since it is capable of unlocking quite a few doors, but there are some exceptions, such as maintenance crews at apartment complexes where there may be a few keys in select, responsible hands that can open all of the doors. These keys are designed so that, although the master key will work everywhere, a key that was made only for one door will only open that door, and none of the others. A more complex setup would involve a three tiered system, where there was one key (or set of keys) that could open all the doors, another that could open a select set of doors, such as a certain building, and then individual keys to open the doors individually as well. This is an especially good idea for property managers or owners that hire different maintenance workers on different properties, or even in different cities. As you can see, master systems can get pretty tricky, and there is lots of room for error. Trust the pros to get it done right the first time.